How do I highlight and take notes? Select a portion of text with your mouse, and a menu will appear that allows you to choose a highlighting color. This will also cause a note-taking field to appear in the right-hand margin. If you want to erase a highlight, select the text again and then choose white as your highlighting color. 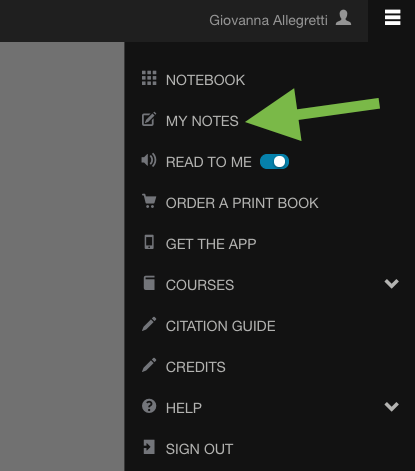 To view your highlights and notes in one place, click the Tools button in the upper right corner, and then click My Notes.